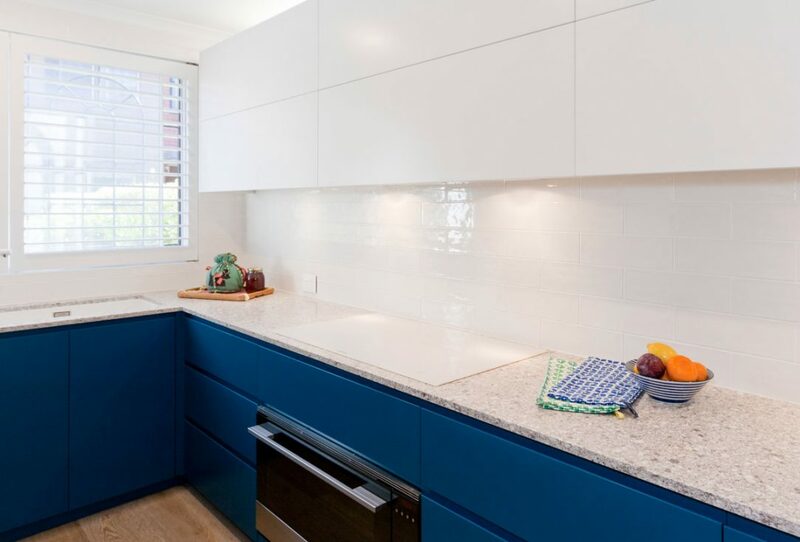 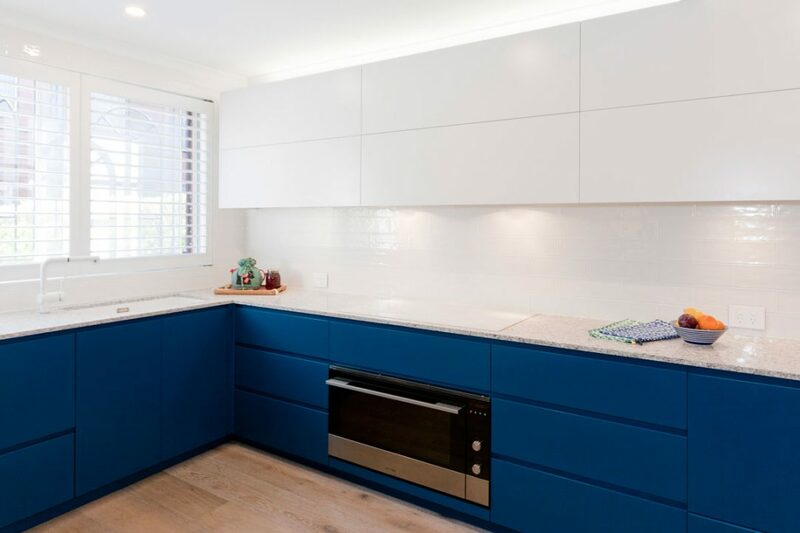 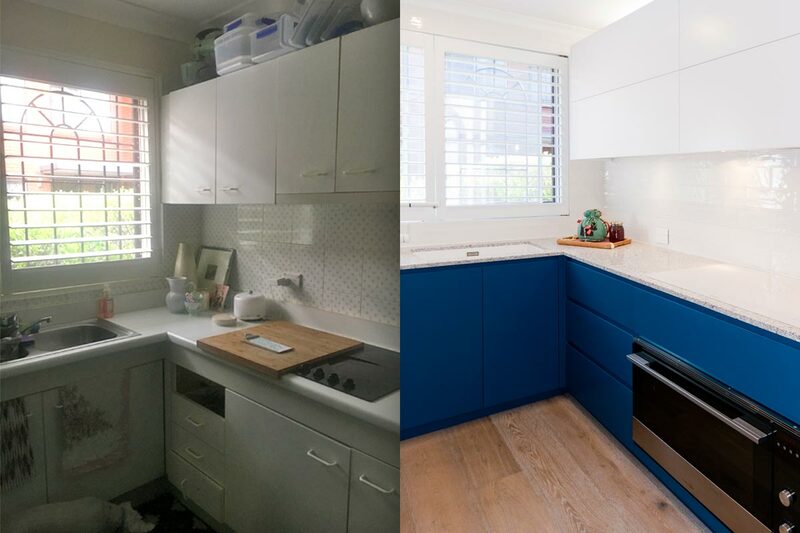 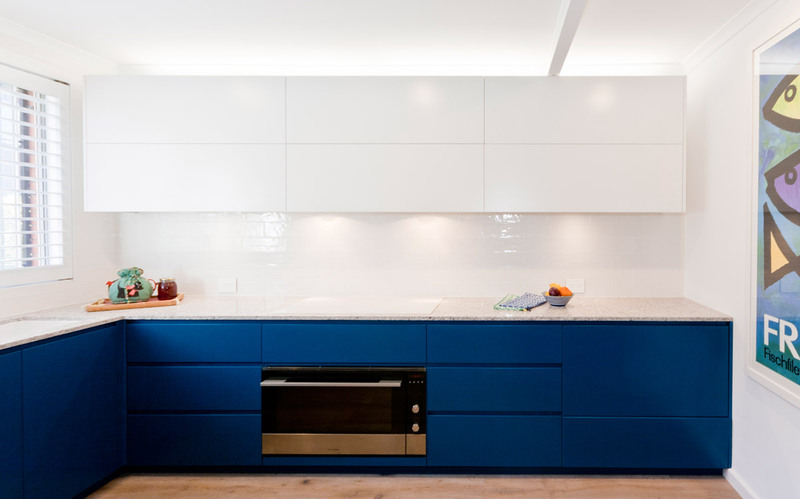 This edgy blue and white, handle-free kitchen is the perfect balance of boldness & sophistication. 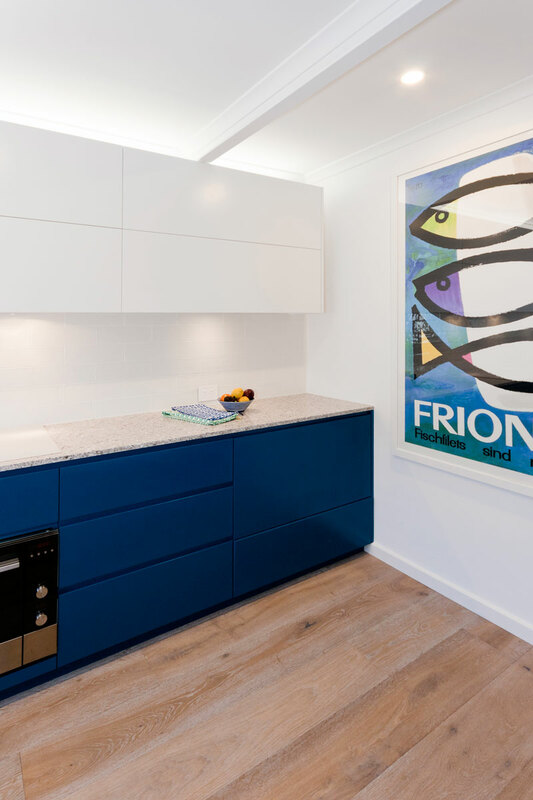 Integrated Fisher & Paykel fridge/freezer drawers make good use of the small space, while the Blum Aventos lift up overheads help to maintain clean horizontal lines in the cabinetry design. 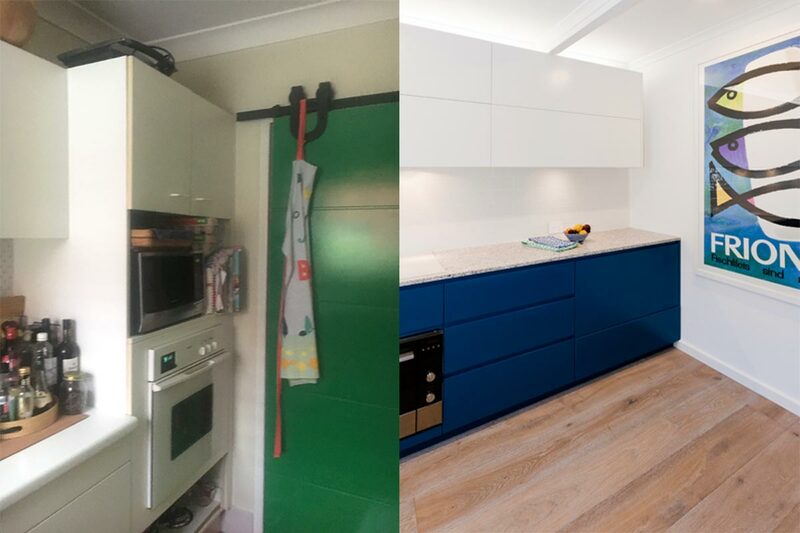 Before the new kitchen was installed, two walls were completely removed and one was scaled back to open up the space and integrate the kitchen with the adjoining dining area.